Timber 1 is a minimalist form that filled perfectly the smaller interior and gives them an unique expression. 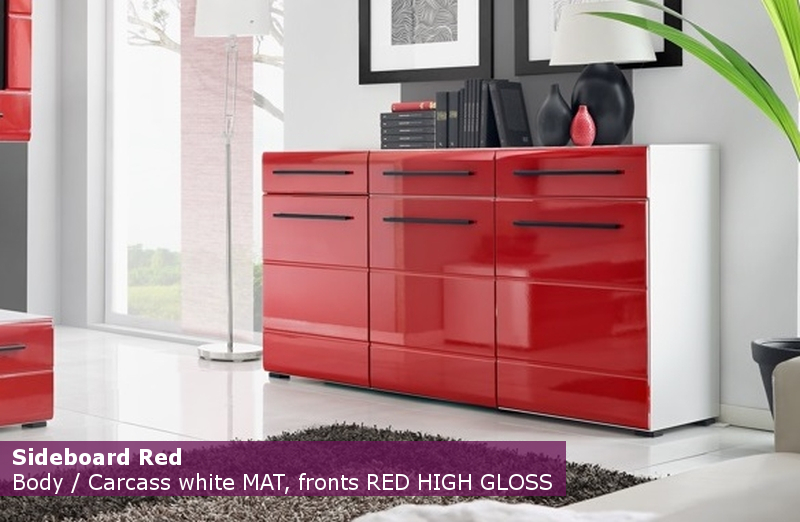 Red gloss finish makes the room brighter and more confident. 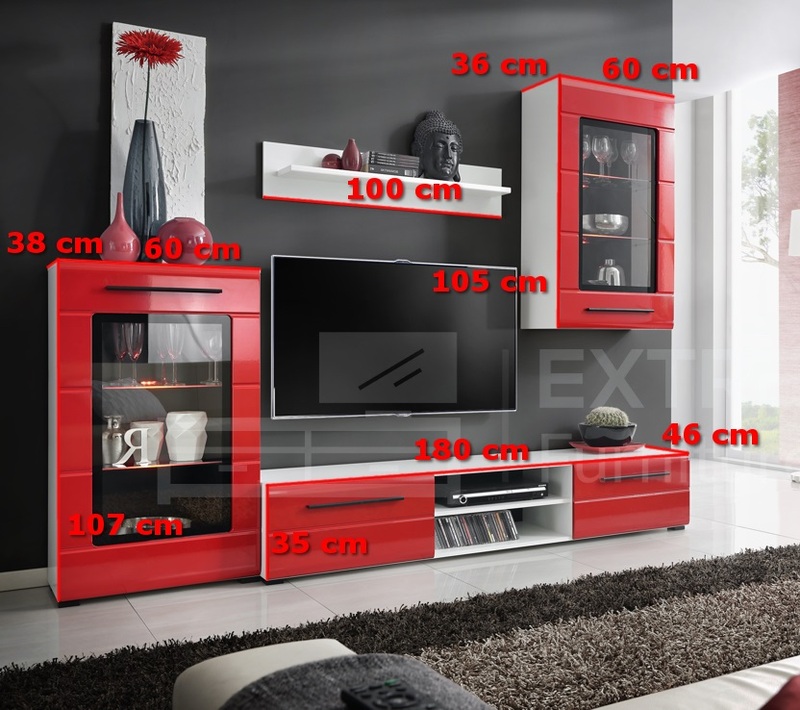 This set comprises of: 1 floor cabinet with 2 doors and 2 open compartments, 1 standing display cabinet, 1 display unit, 1 shelf.